Superior optics to see Newton's rings phenomena. 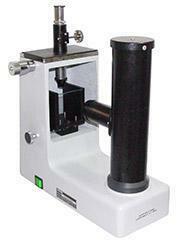 This sturdy and durable device allows you to investigate various experiments by way of Newton's rings. Exp-1 To determine the wavelength of sodium light. Newton’s rings experiment, given ë=5893AO .